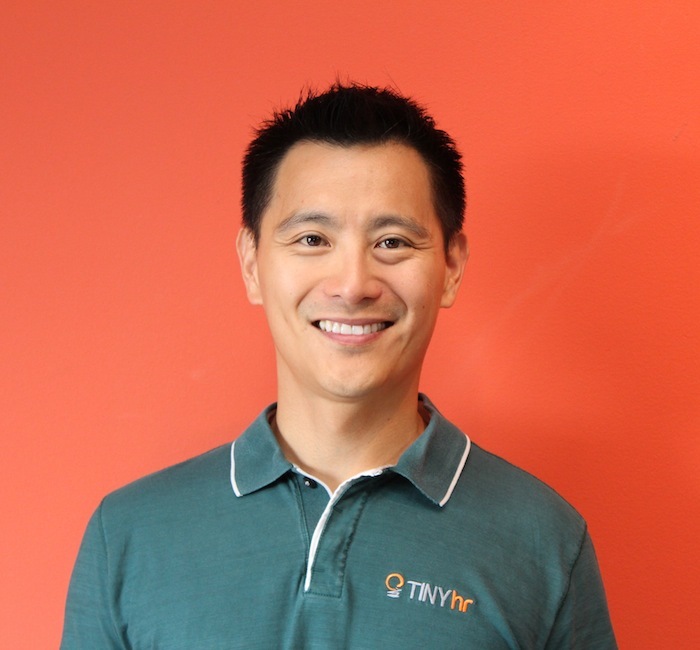 David Niu is a serial entrepreneur, angel investor, and Founder of TINYhr. 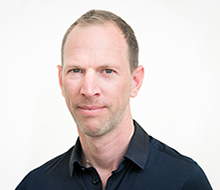 Prior to TINYhr, David co-founded BuddyTV and NetConversions. In 2012, he and his family took a 6 month “careercation”, traveling through through New Zealand, Australia, and Asia. During his trip, David interviewed entrepreneurs of all kinds on best practices and pain points when it came to people management, culture and leadership. Upon returning, David focused on what he learned from these business owners to develop TINYhr’s first solution- TINYpulse. The goal of TINYpulse is to give leaders a pulse on how their employees are feeling so that they can build bridges to spark dialogue for positive change. HR 2.0. The realization that if we’re at work for 50% of our waking hours, why not make them as happy as we can. I believe people that enter the HR field are originally motivated to inspire and touch people’s lives. But as time goes on and companies grow, HR is more about compliance and rules, which taints HR’s impact. But as the war for talent heats up, I think more and more companies are realizing that HR is really about inspiring and motivating their team. I think most business leaders agrees that people and culture are their most valuable assets. If that is true, they have to spend the bulk of their time and energy investing into their team. Correspondingly, HR’s role in the boardroom expands and increases in importance. How are you or your organization reinventing work in some way (big or small)? TINYpulse is providing employees with an avenue to feel comfortable giving honest feedback to their managers and peers. Due to its anonymous nature, TINYpulse removes the barrier of fear that has prevented employees from previously speaking up and airing their grievances. We hope to create an ongoing dialogue that sparks positive change that results in improved retention, recognition, and results. After traveling around the world interviewing entrepreneurs, I knew that there was a need for a tool that helped leaders take a pulse on how happy, frustrated and burnt out they are before retention sinks and issues become cancerous. I knew that if I could create something that fostered employee feedback and engagement, it would resonate with leaders and improve companies from top to bottom. Most people have to work, so my goal is to make them happier while they’re there. What kind of art (any kind) do you like and why?Any recommendations we should know about? I like Mackenzie Thorpe’s pieces. It reminds me of how special and precious childhood imagination are. Over time, I think adults tend to think about limits and “impossible” instead of the “I’m-possible.” Thorpe’s pieces are a playful reminder of that. We offer an unlimited amount of vacation and sick days. We figure that if we can’t trust an employee to perform their best while enjoying a nice work-life balance, we’ve already lost the culture battle. At the same time, one of our core values is, “Hold oneself accountable: Big freedom = big accountability.” So we build it into our core values. I love endurance sports, like marathons and triathlons. The people who thrive in that field dedicate their life towards mastering their field from nutrition, to sleep, to exercise, to rest. I admire that discipline and commitment. I’m a big believer that to give is really to receive, so I love the idea of setting aside some work hours to allow employees time to volunteer at their favorite organizations. There’s nothing more human or meaningful than giving to others. We also donate 1% of our time to the community, 1% of our 2013 profits to a non-profit, and 1% of our product to non-profits. To date, we have donated our product to two non-profits: Breakthrough New York and Maryknoll Sisters Development Department. I like the environment to be relaxed, but the atmosphere to feel very exciting. I love it most when I am among colleagues that I truly enjoy and we’re all hyper-focused on the same mission of delighting our customers. Finally, I’m a huge proponent of practicing what I preach: we are avid users of TINYpulse ourselves and actively encourage feedback (both good and bad) from the team. Most fun for me is spending time with my wife, Alice, and our 2-year-old daughter, Keira. I enjoy going for a run or working out in the evenings. I also love watching Dallas Cowboys, Texas Rangers, Dallas Mavericks, Cal basketball, and Cal football games. As if I have a choice! My day is usually so stacked with internal and external meetings that I have no choice but to push forward. Also, it motivates me to work on a product that I feel is making the world a better place.